Classroom environments need to provide young children with opportunities to practice self-regulation in order to develop social and emotional competence. 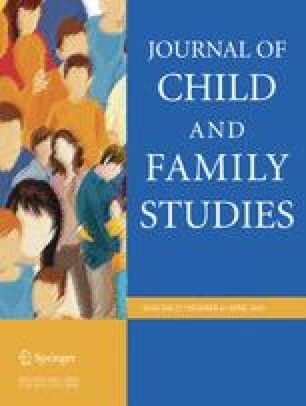 The effects of a mindfulness-based program on self-regulation, prosocial behavior and hyperactivity were examined in a study of 127 children (ages 4–6) in 8 kindergarten classrooms that were randomly assigned to either a Mindfulness Group (n = 72) or to a Control Group (n = 55). The program consisted of 20-minute lessons, delivered 3 times a week, for 6 weeks. The Head-Toes-Knees-Shoulders (HTKS) was used as a direct performance-based measure of self-regulation. The teacher version of the Strengths and Difficulties Questionnaire (SDQ) was used to assess prosocial behavior and hyperactivity. Data were collected before (Time 1) and after (Time 2) the 6-week period of the study intervention. Results indicated that children in the Mindfulness Group showed greater improvement in self-regulation, F (1, 124) = 10.70, p = .001 (=.079), were more prosocial (z = −4.152, p < .001) and less hyperactive (z = −3.377, p = .001) compared to children in the Control Group at Time 2. This was especially true for children who had lower scores at Time 1 (HTKS; rho = −.551, p < .001; Prosocial Behavior scale; rho = −.69, p < .001 and the Hyperactivity scale; rho = −.39, p < .001). Results highlight the benefits of mindfulness-based programs in kindergarten classrooms and indicate that they are particularly effective for children with difficulties in these areas. The online version of this article ( https://doi.org/10.1007/s10826-017-0971-6) contains supplementary material, which is available to authorized users. We thank all the teachers, parents and students who participated in this project, without whom this research would not have been possible. We are grateful for the Toronto District School Board for supporting this collaboration. We would also like to thank Mindful Schools for allowing us to use their excellent mindfulness-based program in our study. Finally, we would like to thank Olesya Falenchuk, Rhonda Martinussen, Janette Pelletier, and Mary Louise Vanderlee for their contributions to this study. M.V. : designed and executed the study, assisted with the data analysis and wrote the paper. M.P. : collaborated with the design, the data analysis and in the writing and editing of the paper. All procedures performed in this study involving humans were in accordance with the ethical standards of the University of Toronto, as well as the Toronto District Schools Board where the study was conducted.